Wikipedia’s definition of Metabolomics is: “Metabolomics is the scientific study of chemical processes involving ”. I would specify this term for personalized medicine a bit more precise. All -omics technologies aim at the analysis of a complete set of biological data (as far as available). 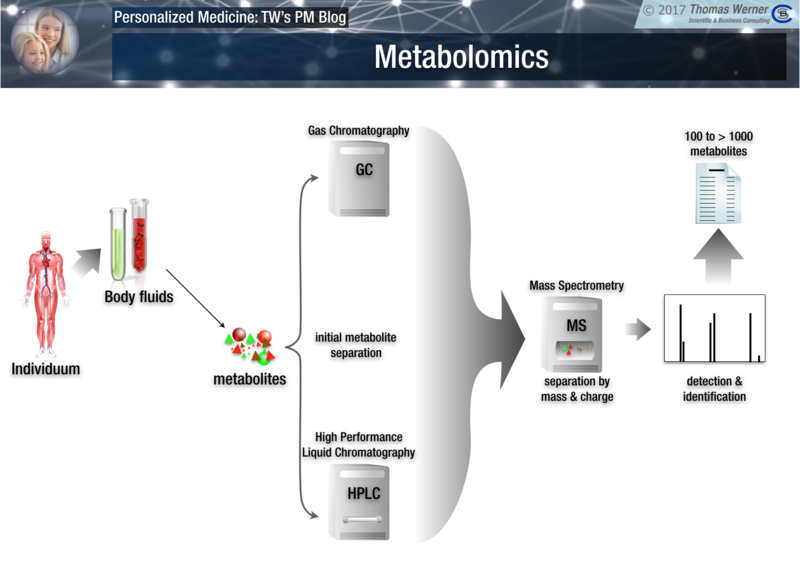 Therefore, Metabolomics aims at the analysis of the complete set of metabolite-related data in a cell, organ, tumor or patient, which is the respective metabolome. This includes not only the metabolites themselves (small molecules such as sugar or fat or medication) but also the attached chemistry. Metabolite-chemistry is carried out by specific sets of enzymes that often work together in consecutive chains to achieve complex chemical modifications of substances. Metabolomics data yield the most up-to-date snapshot of the whole system (e.g. a human body) as metabolism changes almost immediately upon external changes. A number of metabolites show characteristic changes that are directly related to diseases and pathological processes. These metabolites can often be found in body fluids (blood, urine, saliva) and are routinely used as biomarkers. One of the most prominent examples of a metabolite marker is the monitoring of the blood glucose level. This is done on a daily basis by millions of diabetic patients. 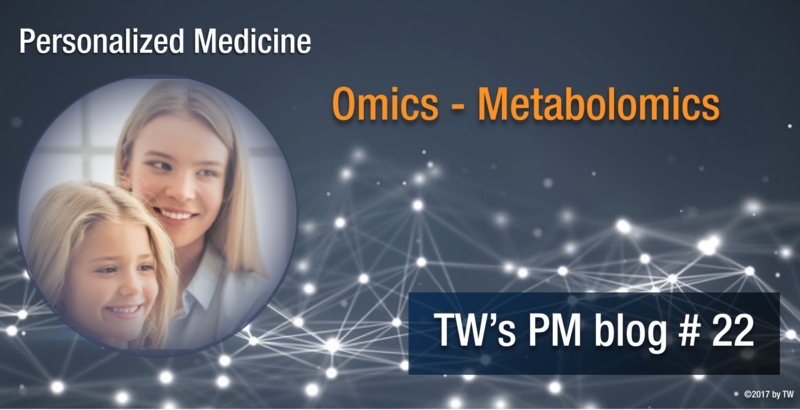 Metabolomics just aims at a much wider range of metabolic parameters to tackle more obscure and hidden conditions. As mentioned body fluids are the first source of metabolomics data but also tissue samples are used and analyzed. However, biopsies are not suitable for monitoring because the are invasive procedures which cannot be carried out too frequently. There is a variety of methods to identify and measure metabolites in biological samples. Classical metabolites smaller that 1kD is size are usually detected by gas-chromatography (GC) a very sensitive method able to detect even very small amounts of metabolites. GC becomes especially powerful when coupled with mass spectrometry (MS), which currently is one of the standard methods to detect metabolites. Alternatively to GC a method called High Performance Liquid Chromatography (HPLC) is used in connection with MS (coupled by electrospray ionization). This combination is even more sensitive than the GC-MS combination and represent the second standard applicaiton. Further technical refinements of the methods described above plus the introduction of a variety of new methods will certainly bring the complexity and price of metabolomics analyses down. In addition the computer algorithms to analyze and standardize the data of such measurements will constantly improve. The relative ease and general applicability of metabolite detection technology is experienced involuntarily by many driver asked by the police to use a breath analyzer - using a rather simple electrochemical process to measure ethanol levels. Next week I will start with the most prominent application area of personalized medicine, now more stringently defined as “precision medicine”. This is where all the -omics based technologies are used to provide “precision” care tailored to the patient’s needs.